Due to reconstruction there will be no courses from October 2019 until the end of March 2020. Please note the additional dates. 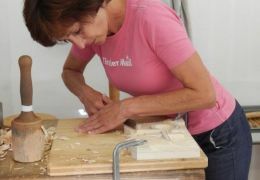 are a novice or advanced carver who would like to learn more. try new things and techniques or deepen your existing knowledge. value personal guidance in small course groups, which meets your current skill level. place value on choosing from 700 models to carve from. want to be instructed step by step by accomplished course instructors. like to let yourself be inspired by like-minded students. are between 6 and 99 years old (100+ upon request ☺). 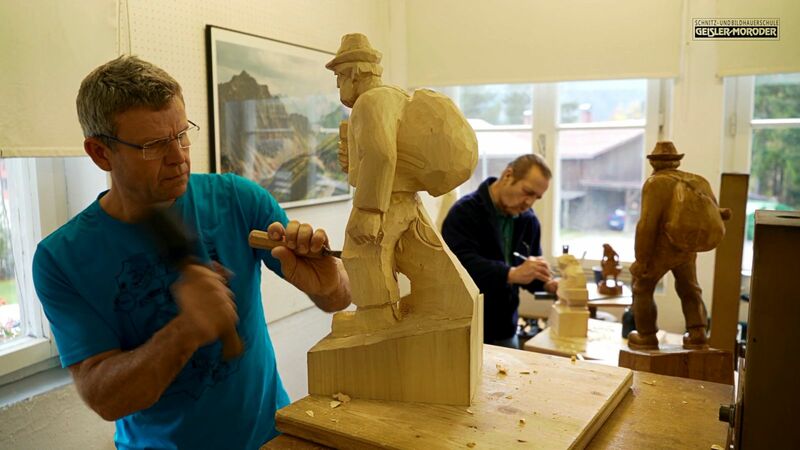 Carving is totally new to you? 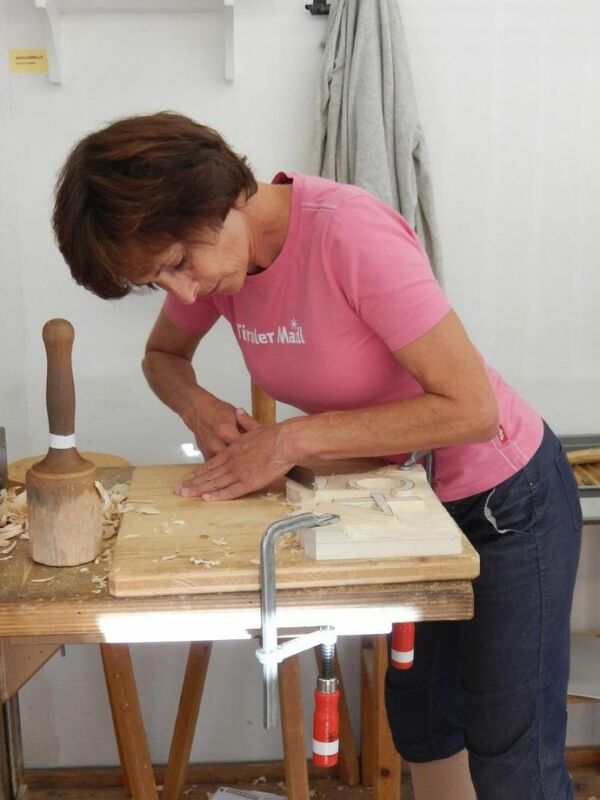 And you now wish to start working in wood with your own hands? 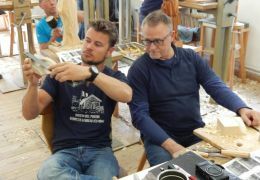 Looking for someone who can teach you the basic steps and can show you the joy in working with wood? 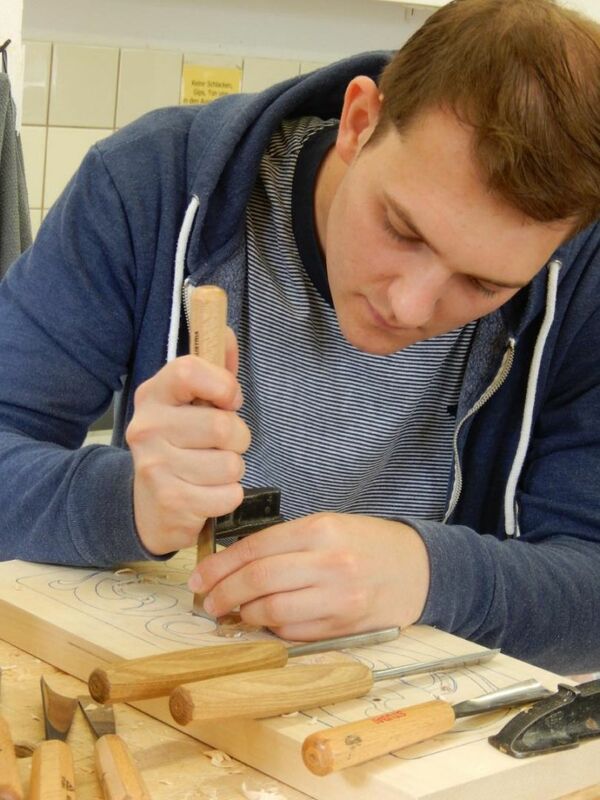 Have you already gained some craftsmanship experience or made first attempts at woodcarving? 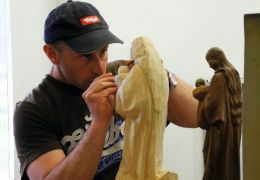 You already have some skills in carving? Looking for someone who can advance your base level with key steps? 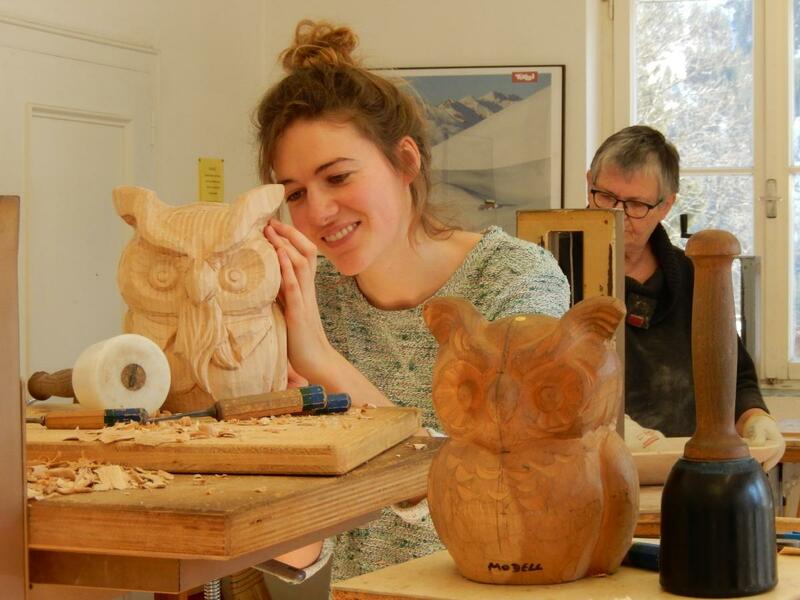 You are versed in crafting skills of carving and enjoy working with wood? You would like more intensive training and are looking for someone who can deliver inspiration and professional tips? Welcome to our highest class level! The course "Krampus Mask Carving" provides novice or experienced carvers the needed crafts skills to carve a devils' mask. No previous knowledge is necessary. 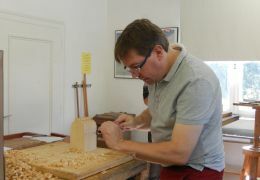 We will teach you the basics of carving, step by step. 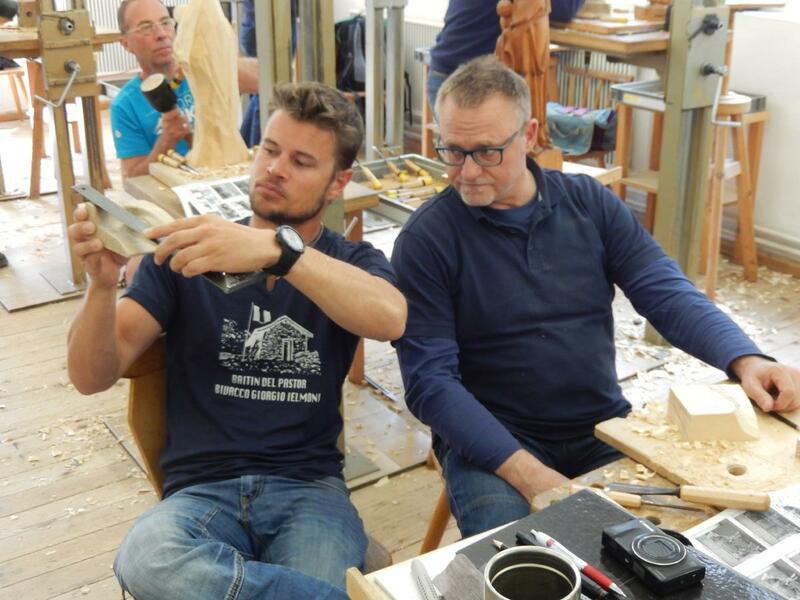 Get to know the material wood, and how to use the tools correctly. 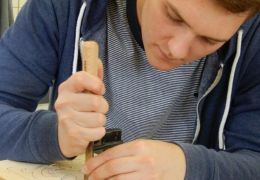 This is the right course, to get a first insight into carving. There are many possibilities to decorate and shape different items of daily use, like boxes, nameplates, spoons, and much more. 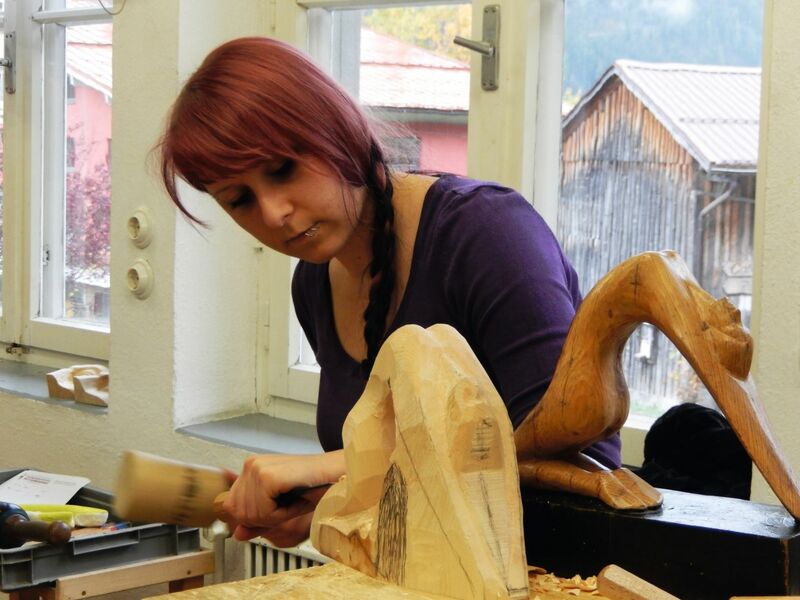 Learn to create animal sculptures out of a piece of wood. Special focus is put on anatomy and proportions, and the spectrum to choose from is almost limitless. 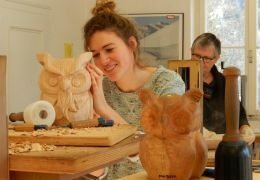 Heads and faces are especially challenging whilst carving. Based on our “Step by Step – models” and with the support of our course instructors, we will help you to master the carving of the human head and face. 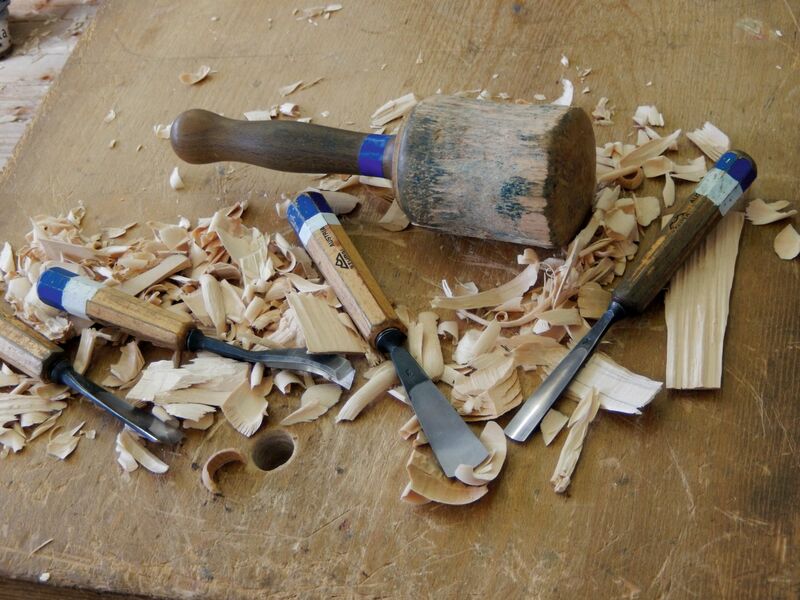 Your understanding of wood, with its grains,knots, branches, cuttings and barks will be improved. Get a good basis for realizing your creative and artistic ideas. Gain knowledge to work with this unique material. Click on your desired date! 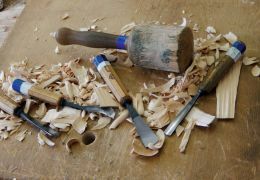 In our woodcarving classes we provide the sound skills of wood handicraft in order to be able to reproduce given references and models utilizing the carving chisels. 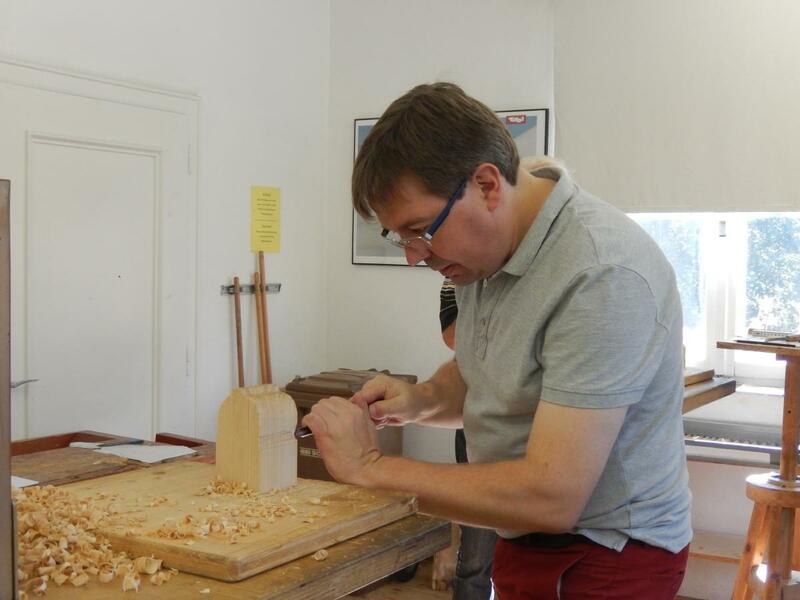 The main focus of our woodsculpting courses is on the development and formulating ones own ideas and drafts, which will then be made into real wooden objects. Sign up here for our free newsletter and do not miss out on our specials! 24 A. Holland Mt. Rd.